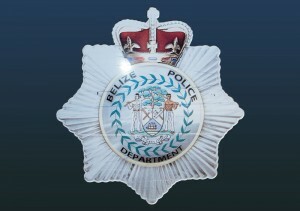 San Pedro police have charged 28-year-old construction worker Michael Sedacey for the offence of Drug Trafficking. Sedacey was arrested on Tuesday, January 29th after police conducted a search on him around 1:20AM on Sea Grape Drive. The search led to the discovery of a black plastic bag containing 65.3 grams of suspected cannabis. Sedacey was immediately detained and taken to the San Pedro Police Station. On Wednesday, January 23rd, around 7PM, San Pedro police conducted a search in a mangrove area on Sea Weed Street, San Juan sub-division and discovered a black plastic bag inside a foam cup. A further inspection revealed that the bag contained 79 grams of suspected cannabis and three .45 rounds of ammunition. No one was in the area at the time of the search and the items were sealed, labelled and deposited as found property.